Day Care: Why Rainbow Chimes is the Best! Rainbow Chimes regularly gets high marks from our parents. Since 1981, we’ve been providing high-quality day care for the children of the Huntingdon area. 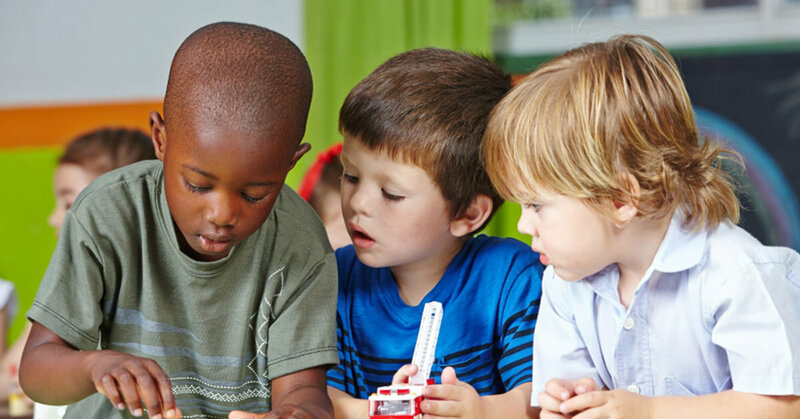 We offer daycare that is education-focused and this education is centered on the research-based High Scope curriculum that has been delivering great results since the 1960’s. We have a five-star chef on staff who cooks fresh meals for the children every day. We provide breakfast, lunch, and an afternoon snack to the children. We have the children do educational lessons about food and nutrition to teach them about good eating habits. We have a rotating menu that conforms to CACFP nutritional guidelines. Freshly cooked food that the kids love! Our staff eats their lunch with the children to help them and act as role models. Our teachers will give your daily feedback about your child. For infants, we offer our care is carefully documented and accessible to parents via the internet. We use a program called LifeCubby. This is a secure desktop and mobile app for parents to keep track of their child while at work. We also capture unique moments in your child’s day and will share them with the parents via the app. Daily face-to-face tag-ups wit a teacher and can arrange meetings for longer discussions about your child. During these tag-ups, you can tell us how they slept, how they are feeling etc. We have regularly scheduled conferences to go over goals, successes and challenges of your child.